The list of potential adversaries for the Predator is not small! He’s faced some serious contenders including Batman, Superman, and Alien (of course). Back in 2015 He also had a run in with in with Riverdale’s Archie. And now he’s back for more! The second Archie vs. Predator mini will follow on directly from the first — and those who’ve read the original know just how unlikely that might be. “All I’m going to say is that it’s a meta-commentary on corporate franchise reboots, given that Archie was rebooted right after [the first Archie vs. Predator] was released, and the Predator franchise got its reboot with last year’s The Predator film,” de Campi said. Alex de Campi is returning to pen the sequel to her original series, with Robert Hack of Chilling Adventures of Sabrina fame stepping in to provide art. The first issue is due to drop on the 24th of July. Thanks to Nick Whitcomb for the link. Keep a close eye on Alien vs. 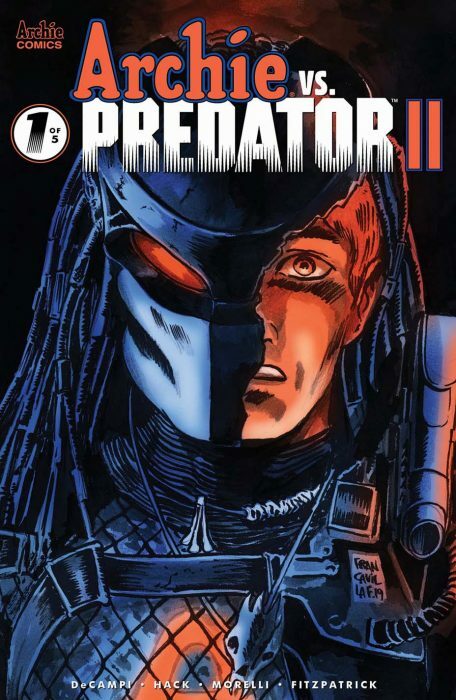 Predator Galaxy for the latest Alien and Predator literature news! You can follow us on Facebook, Twitter and Instagram to get the latest on your social media walls. You can also join in with fellow Alien and Predator fans on our forums! Ummm... I'll probably sit this one out, just like the last one. This is not the crossover I was hoping for. First one was great fun. Ya the first one was both hilarious and brutal! I’ll be picking it up for sure. I'm legit excited for this, the first one was great. I’ll have to get around to reading the first one now. I never actually read the first one but considering how much I've warmed up to the DC crossovers, I think I'm going to have to give it a go. Never read the first series. Is it worth reading? Yes, absolutely. It’s a ton of fun; it’s drawn by one of the in-house Archie artists so it’s got that art style, but it’s gory as heck. I think Archie vs The Punisher gets a sly shout-out at one point, too. I hope it explains why Jughead is always wearing that crown-lookin' hat of his. He da king of Queen Archie's world. For some reason the first series is hard to get hands on. Looks like a new TPB will be released in September though.